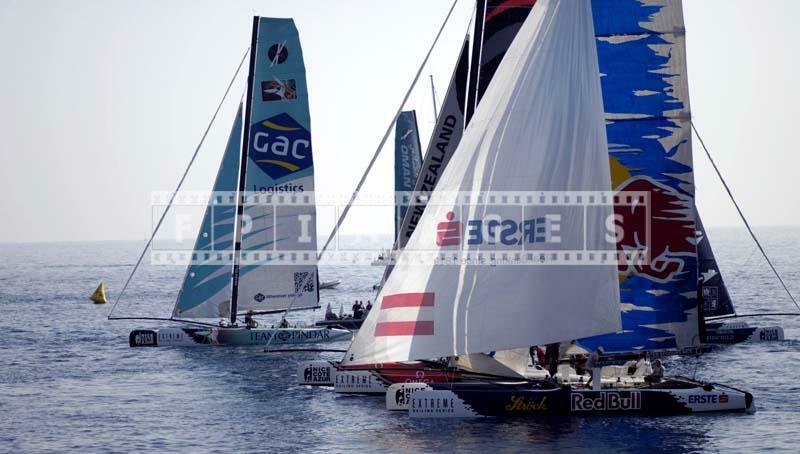 This photo gallery showcases sailing photos of Multihull World Series 2011 – Act 7 Nice France. 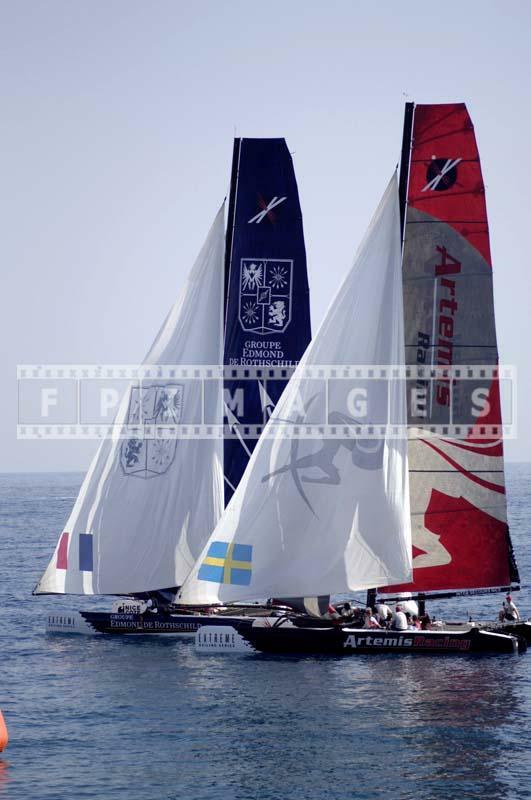 This nautical event draw thousands of spectators to the famous Promenade des Anglais. 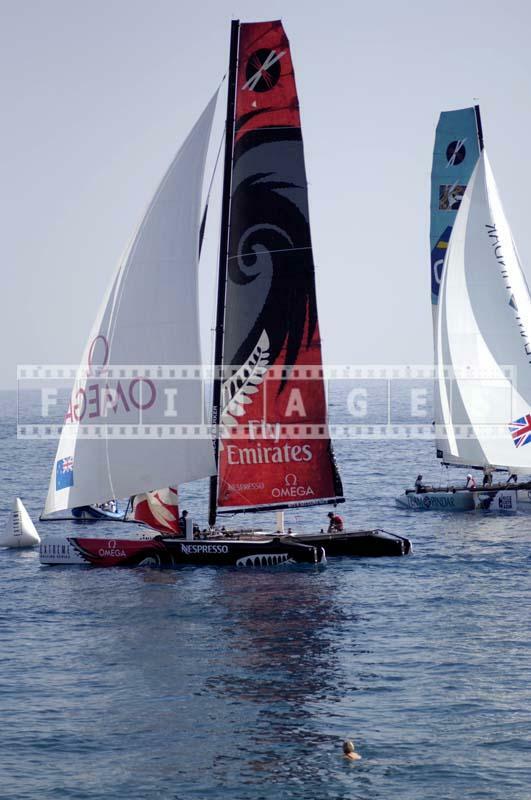 Extreme Catamarans had to race in light winds and perhaps this was a challenge for the teams, but for the general public watching from the beach it was great. 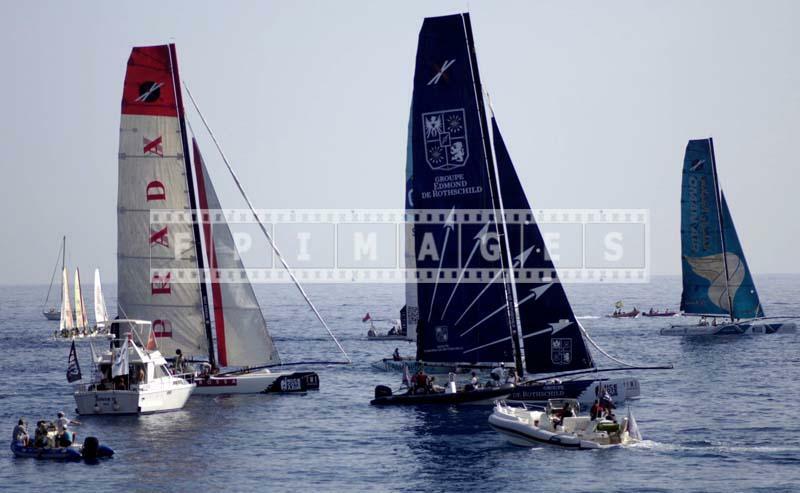 High performance Extreme 40 boats were chasing each other very close to the shore. 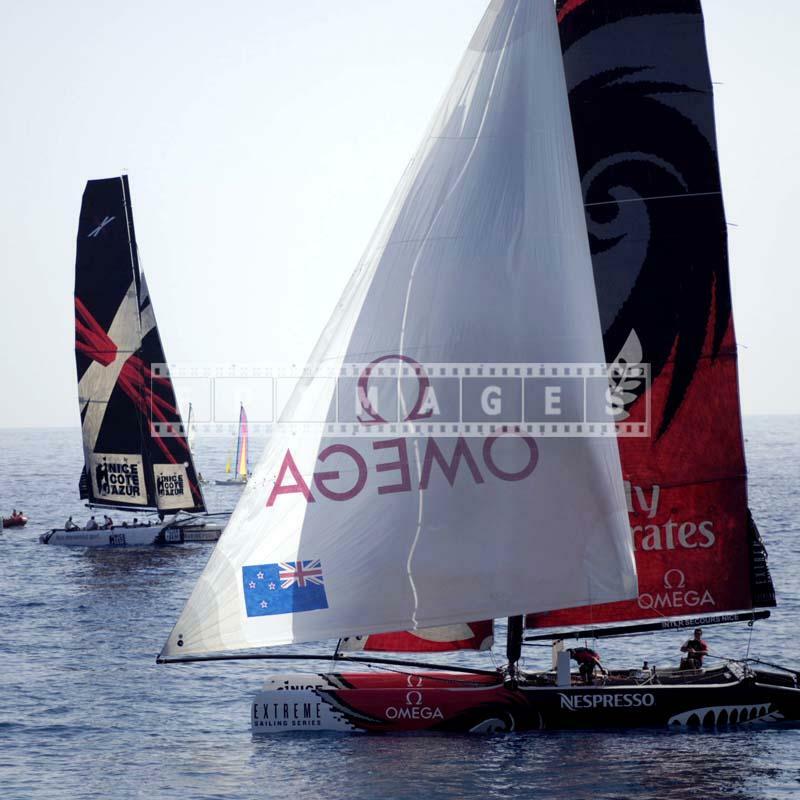 These catamarans are very light weight and built with carbon fiber. 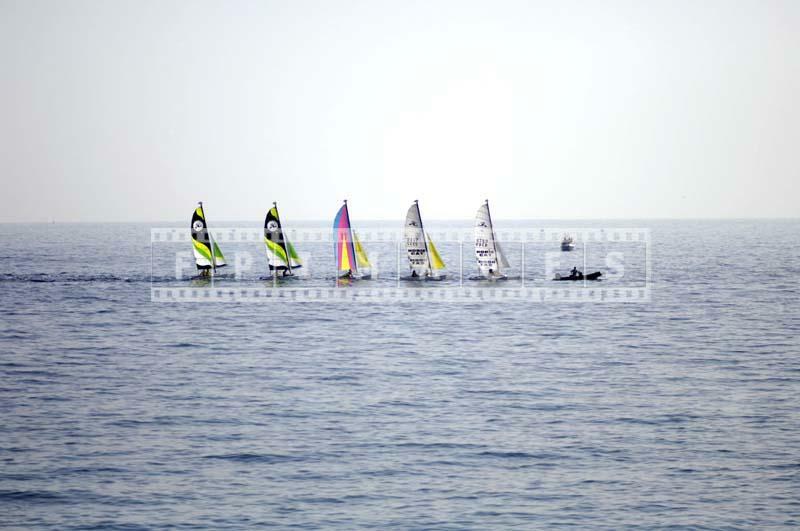 They can reach speeds of upto 35 knots and are specifically designed for coastal close to shore races to promote the sport for general public. 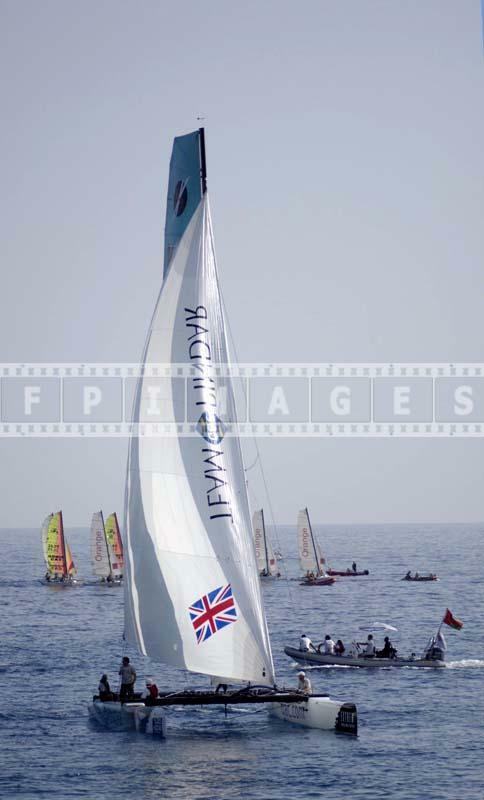 Nice, France was a perfect location for such a race and for taking great nautical photos. 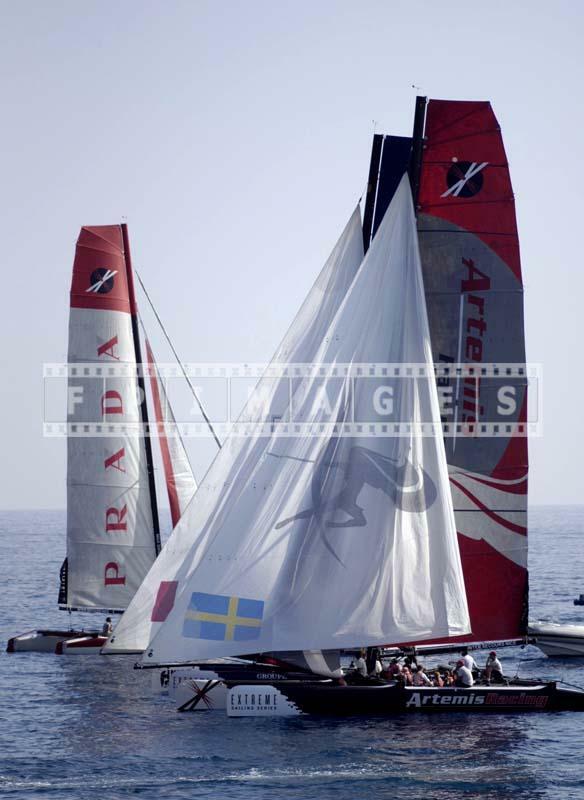 The bay in Nice is called Baie des Anges – Angels Bay and famous Promenade des Anglais runs along its shores. This venue can easily and comfortably accommodate thousands of spectators. 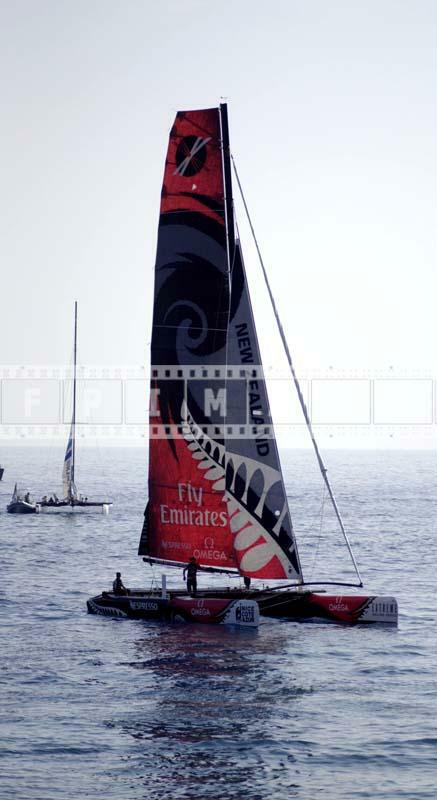 There many cafes and restaurants setup right on the beach, where you can sit back and relax, have a lunch, snack and have a great view of the bay and the race. 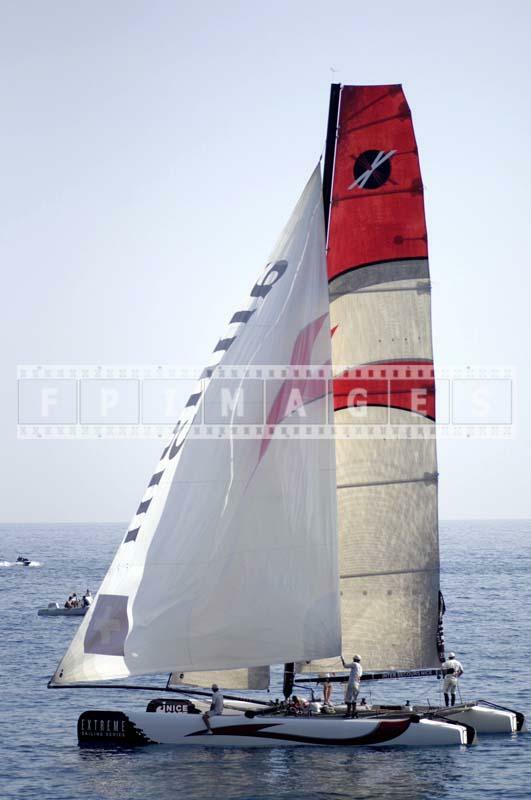 Catamarans are have brightly colored hulls and beautiful sails. It is a pleasure to watch and photograph. 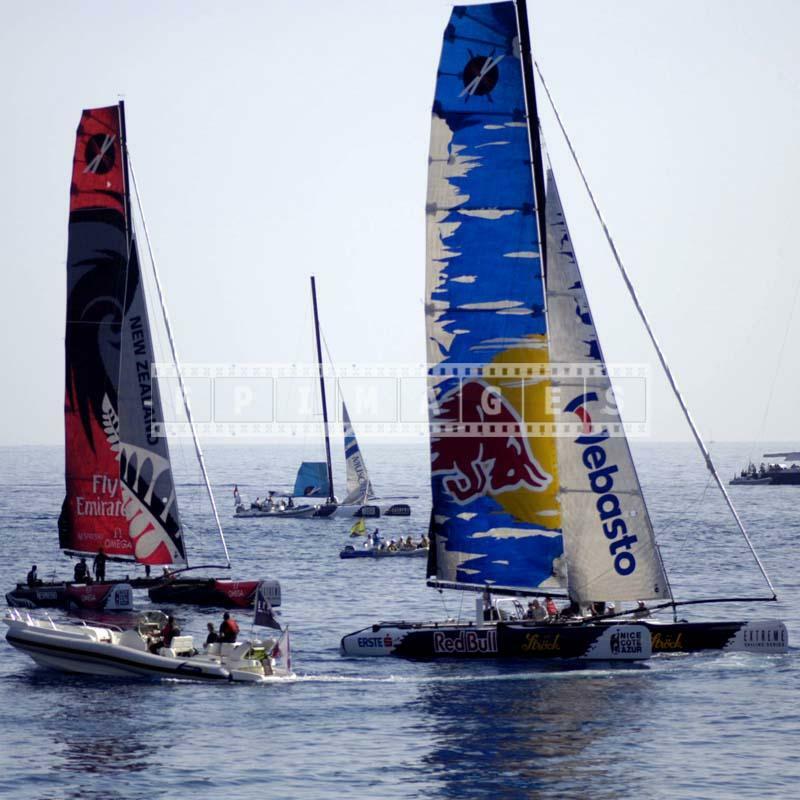 The catamarans are easily assembled, disassembled and shipped in a 40′ container that allows to have several racing venues during the course of the year all over the world. 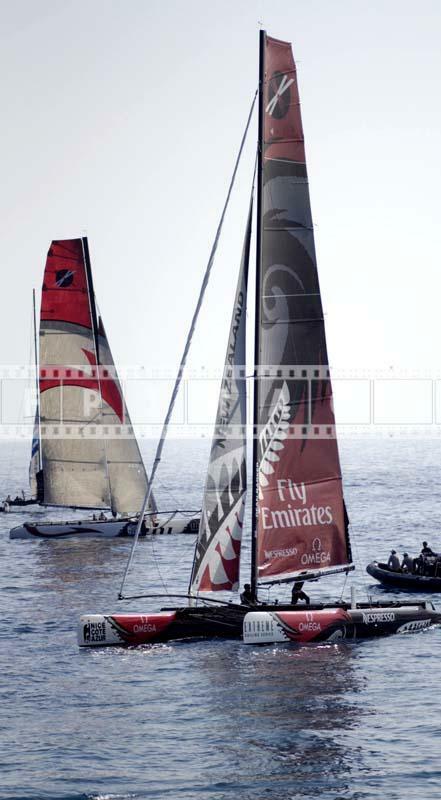 For example in 2014 there are 8 racing events planned from St. Petersburg, Russia to Singapore, from Cardiff, UK to Sydney, Australia. 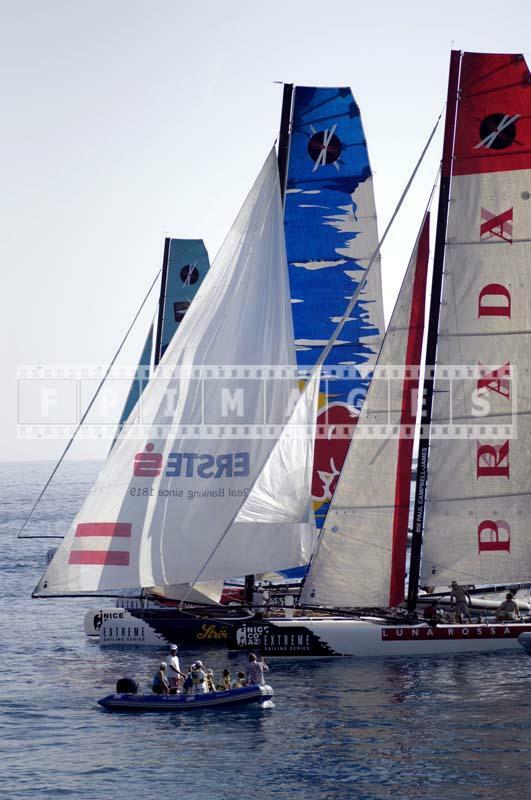 Extreme 40 race was very close to the beach, colorful sailing photos. 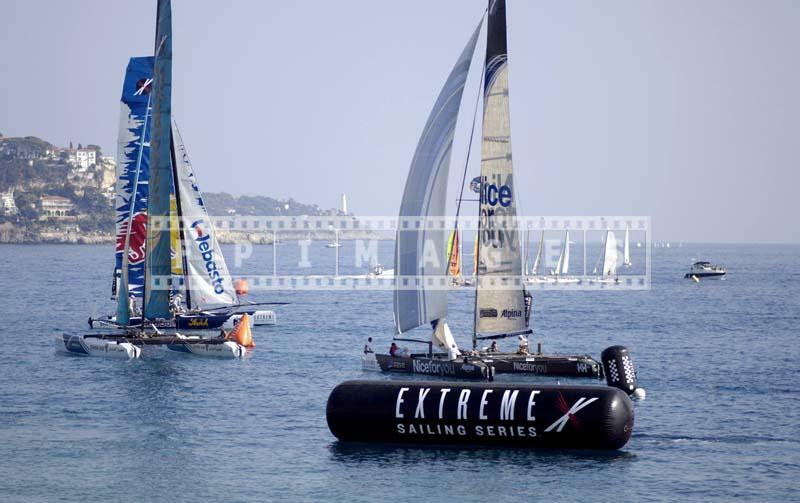 Beach Nice, Cote d’Azur France in October and Act 7 extreme sailing race. 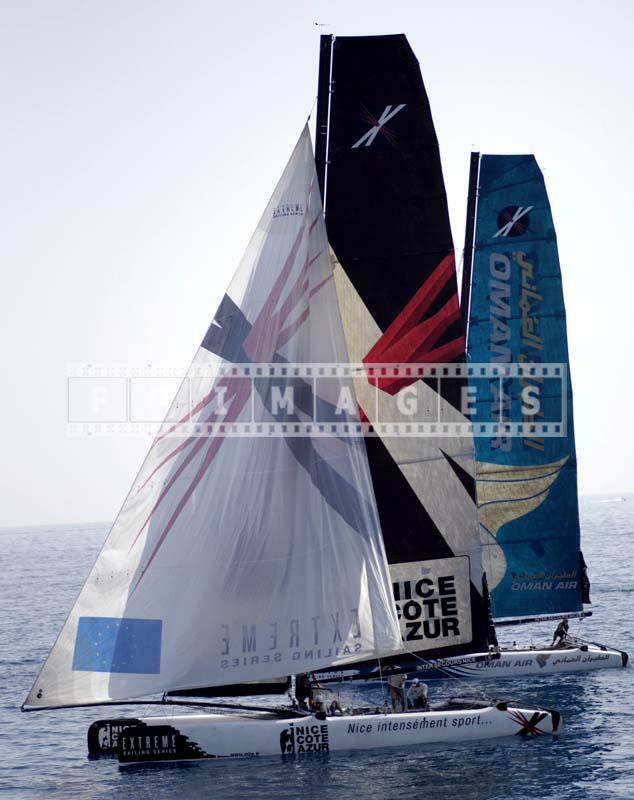 4 extreme 40 catamarans in one picture – NiceForYou, Team Extreme the first club, Oman air and Artemis multihulls. 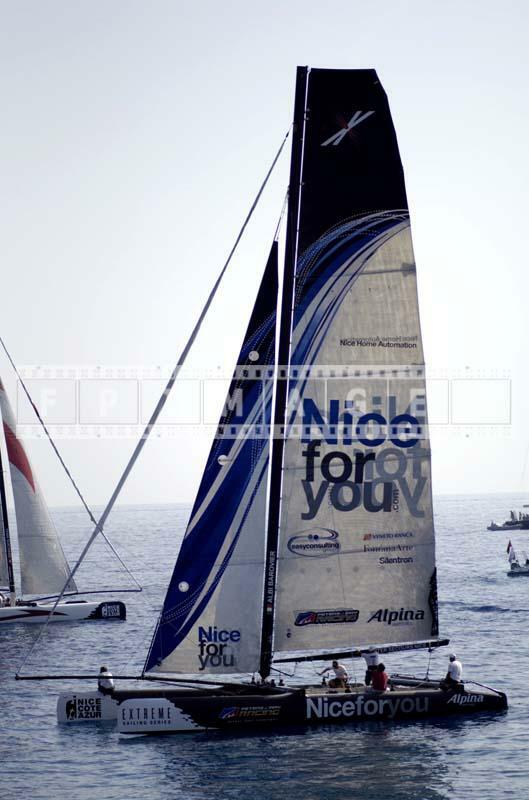 NiceForYou – 40′ high performance racing catamaran during 7-th leg of the 2011 world event. 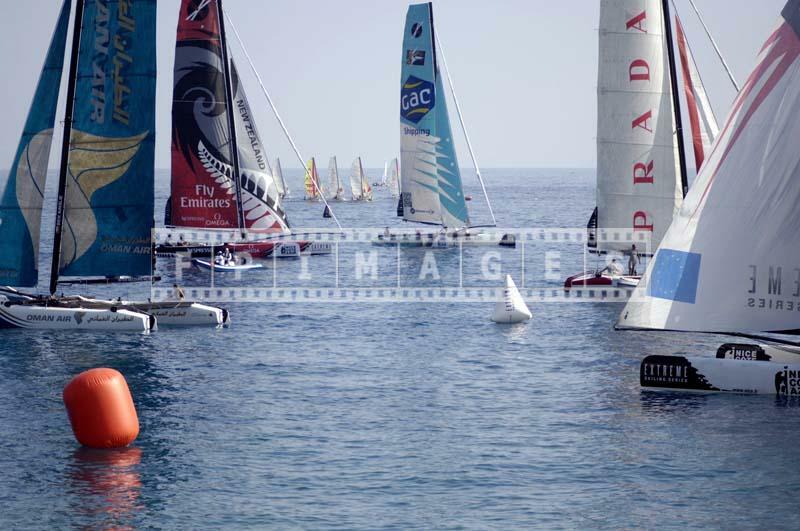 Multihull boats racing Nice France, October 2011, colorful sailing photos. 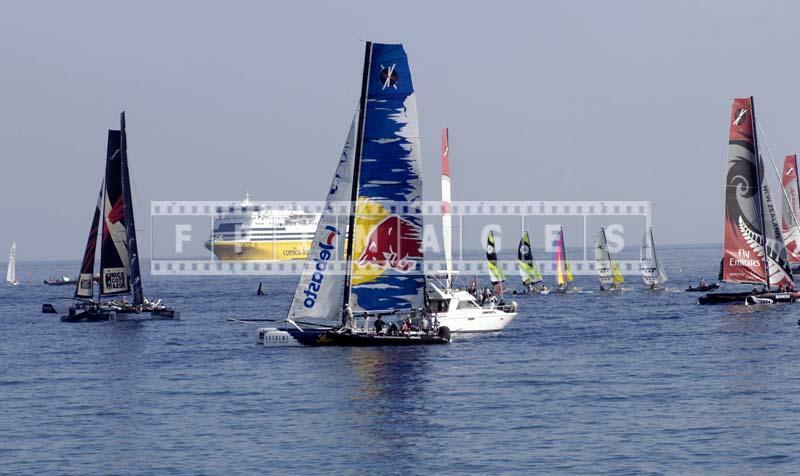 Red Bull and NiceForYou extreme 40 catamarans, Cap Ferrat is in the background of the photo. 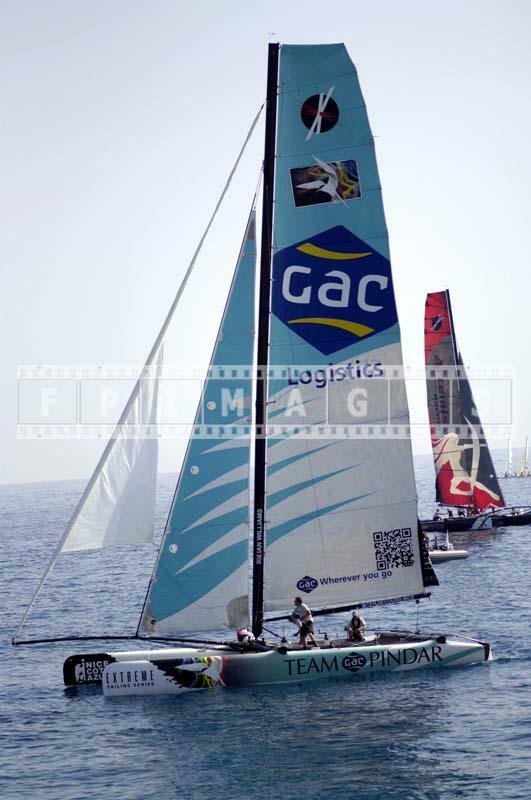 Team GAC Pindar catamaran sailing in the regatta Nice, Cote d’Azur. 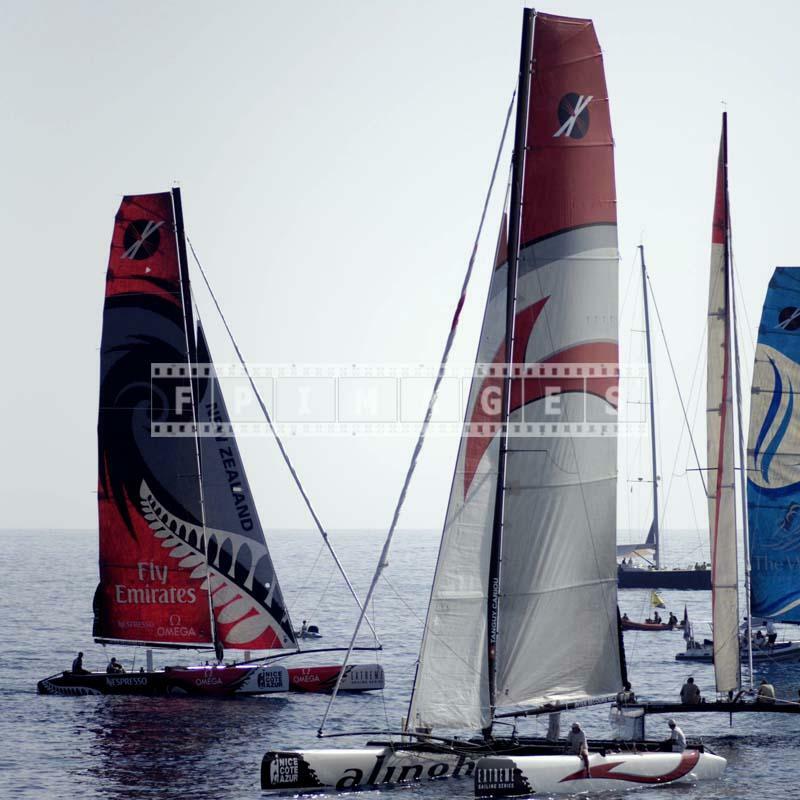 Alinghi extreme 40 catamaran and other boats during race nautical photos. 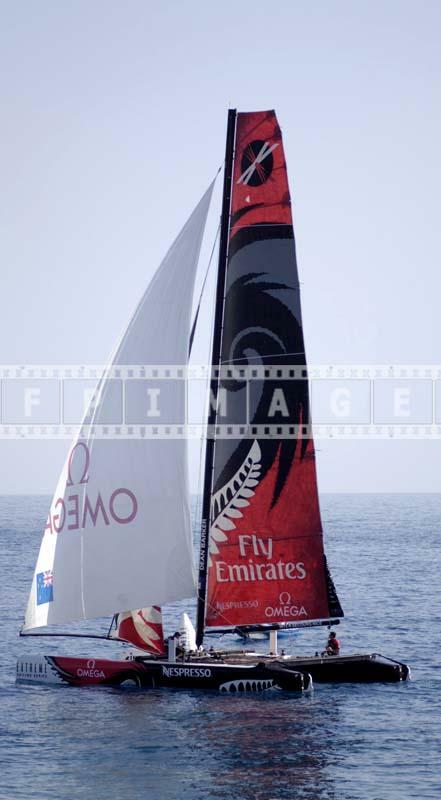 Alinghi high performance catamaran sailing downwind with spinnaker. 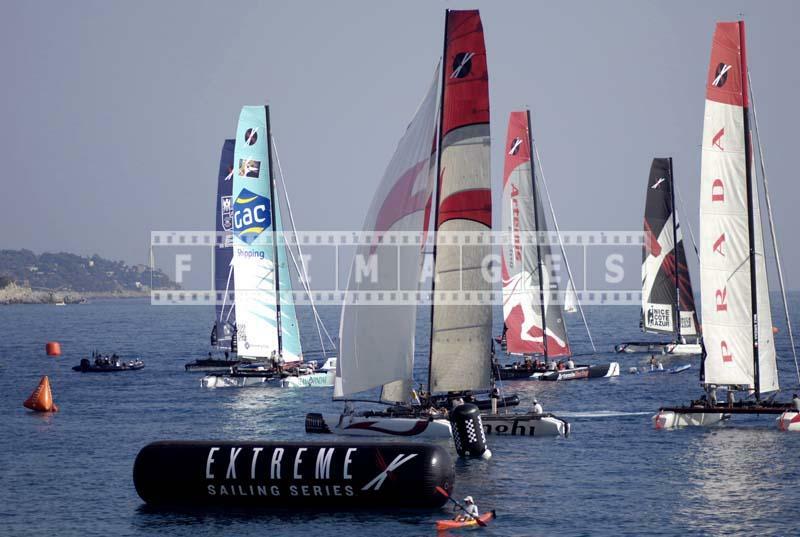 Extreme sailing Series – Catamarans multi race regatta event on Cote d’Azur.